Amani Hajji is nothing if not stubborn: for 20 years, she has refused to give up on her dream of making opera mainstream in her native Kuwait. 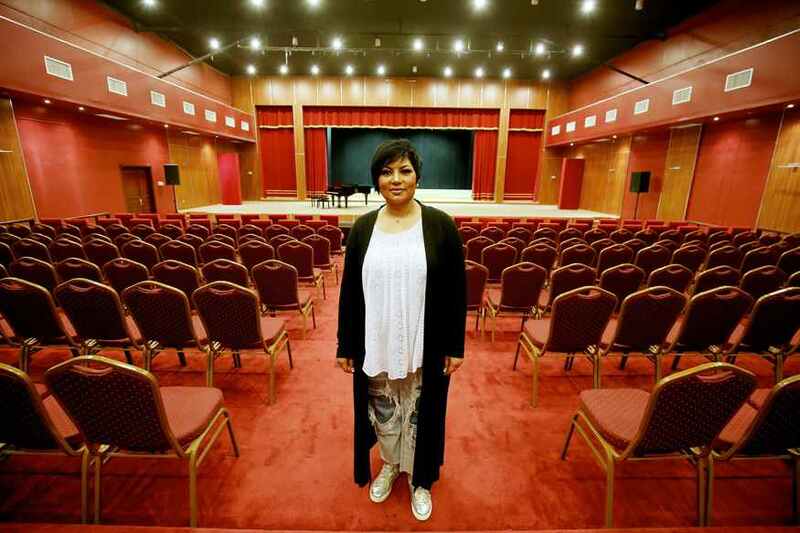 A soprano by training, and with her trademark bob haircut, Hajji is Kuwait's first opera singer with a small but dedicated local following. The 51-year-old's journey has not been easy. When she first enrolled in Kuwait's National Conservatory in 1985, her parents banned her from singing anywhere outside the walls of the school. Fifteen years later, Hajji appeared onstage at the Cairo opera house. The audience settled in for an interlude of oriental folklore. Instead, they were treated to Giacomo Puccini's repertoire. Hajji has since been invited back five times to perform works by the Italian composer, still her favourite, to Arab audiences in Italian or German. Puccini, she believes, is also the most relatable to Kuwaiti music lovers' ear, with his emotive, late Romantic style. Kuwait opened its first opera house in 2016 -- but Hajji was not invited to appear onstage. That's when she found out about her own dedicated fan base who -- to her surprise -- had been following her career for years. "The Italian tenor Andrea Bocelli opened the venue, and a lot of Kuwaitis were outraged by my absence," Hajji told AFP, adding, "That's how I discovered that I had an audience who knew who I was and who loved me." Hajji was first introduced to opera as a teenager, when she saw a television special that caught her eye. "I loved music in general, and in my first year in high school I saw an interview with Ahmed al-Baqer, who founded Kuwait's conservatory. I decided to register for lessons. I started to train and then discovered opera, thanks to an Egyptian teacher here in Kuwait," she said. She has since represented her country in music festivals in Bahrain, Italy, Ukraine, Turkey, Morocco and elsewhere. Shortly after her initial snub by Kuwait's opera house, she made it on stage in her native country performing with the Bucharest Philharmonic Orchestra. Hajji credits her oriental roots with helping Kuwaiti audiences relate to the classical works of Puccini and others. "Even if they don't understand the language, the audience appreciates the music, the way it is sung. I have my own style. It's sentimental, a contrast to the Western way of interpretation," she said. Now an instructor herself at Kuwait's national conservatory, she is starting to sense a budding interest in opera at home. Most of them, however, are men -- and Hajji still has her eye on finding a female star pupil. "There is so much raw talent that we're working to train musically," Hajji told AFP, adding, "But I've always dreamt of singing a duet with another female Kuwaiti opera singer." Kuwait's conservatory is highly popular in the Gulf and for years has drawn students from neighbouring countries -- some of whom have had to stand up to their families to follow their passion. Opera houses have also begun to pop up across the region, with Dubai and Oman each home to a venue. But there is still cultural pushback against the genre, some say. Ahmed Kandari, an opera teacher at Kuwait's conservatory, had to face his family's disapproval over his choice to study opera. Today, he is fighting to introduce music into Kuwait's educational system. "High school education is marked by the total lack of a music curriculum," he told AFP. "We have to start introducing it earlier, and growing our education, to help teach the public appreciation of different musical styles and genres." The work of Hajji, and Kandari, has inspired youth beyond Kuwait. Ahmed Saleh al-Jazali, from Oman, is enrolled in the opera programme at Kuwait's conservatory. With the support of his family, he says his goal is to become his country's first opera singer. "I'm working on it -- I'm going to sing in German and Italian," he said.